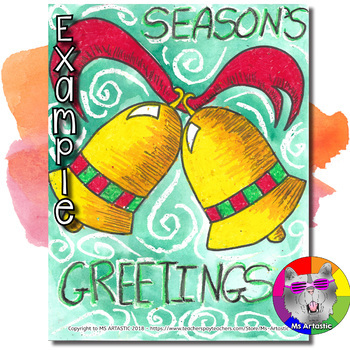 Christmas art inspired by Holiday Bells; a perfect lesson to engage students before the Christmas festivities begin! 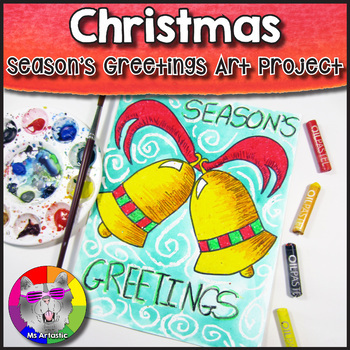 Students will get into the holiday spirit through creating a Season’s Greeting Art Piece. They will create this art piece through experimenting with oil pastels and paint. This product is complete with a visual and text step-by-step (each step on its own page with description), a rubric for marking, a lesson plan, a finished example, and a step-by-step drawing handout to allow your students to create this piece successfully! Get more ✂ARTASTIC✎ Winter and Christmasl products! ♡Christmas Art Activity: Finish the Picture!